"We live in a dislocated world where people do not share a lot of common experiences, even when they are physically together in the same place." Describe your background and how you came up with the idea of Coco Color? I owned a tech company in the 90s DotCom era in London and employed 30 coders. I like technology from a business point of view. I don’t think you need to know all about technology in order to run a business but it is very important to find the right people that do, and that can help you. I came up with the idea of Coco Color around 20 months ago after visiting a trade fair. I brought home a pink colored stylus for my young daughter Coco. She said it was broken... What she meant was, it didn’t color in pink. That was it! 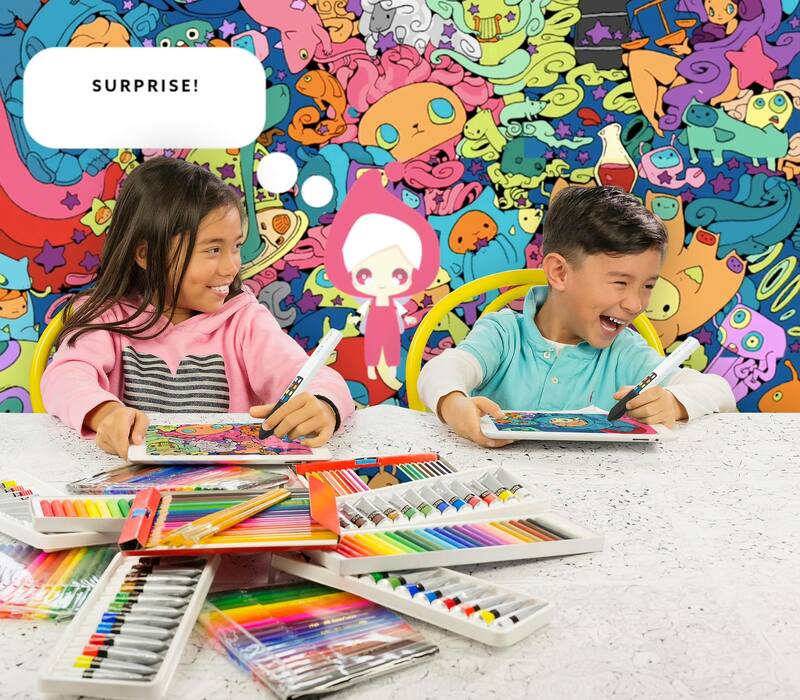 Coco Color allows children to color & doodle on iOS & Android devices. You can remotely choose the colors and the styles you like by pressing those buttons on Coco Color, and then start painting on the device. As a parent I understand that when you go on holiday with your kids you have to bring along a lot of things such as pens and pencils. Now all you need to bring is Coco Color. We are not trying to replace traditional art supplies but I think you can enhance your screen time experience with Coco Color. One day I was talking to a local street artist, Bao Ho, who was taking part in an art event called HK Walls. Her art was fantastic and I found her art very suitable for our apps and that was how I came up with the design ideas of the apps. What will children learn by using Coco Color? This is for primary school children and their parents so they can spend time colouring together. We live in a dislocated world where people do not share a lot of common experiences even when they are physically together in the same place. People are spending a lot of time in the social media world and are sometimes isolated. What we want to do is allow parents and children to color the same actual drawing. I wanted to keep the price low so that more kids can use it. Can we buy the product now? Yes. You can already buy it online now. You can check out Coco Color and apps at www.cococolor.com. We are also going to sell it through retail stores that specialize in arts and crafts in US and Europe soon. Next year we are bringing out a new version so that pre-school kids can also have one. What advice would you give to people with creative minds like yourself who want to start their own business? Firstly, it usually takes 3 to 5 years to run a successful company. Before you start a business you need to understand that this is going to take up all of your time in the coming 3 to 5 years and you need to be ready for it. Secondly, you need to be sure that you are going to succeed. To maximize your chances, you need to do a lot of research. Thirdly, you need to love what you are doing. As I said, you will spend a lot of time working on it in the next few years and you need to be sure that this is something that you really want to do. Fourth, raise the money. Take smart money from an investor who adds value to your new business. Money alone is not the best solution it. Lastly, do it and do not accept defeat. Every day there will be people telling you this is not going to work and every day there is a reason not to do it. When you are building your business there will be many people who offer you their opinions. The good thing about opinions is that they are free. You can take it or you can put it in the bin. In order to ensure what you are doing is correct, you have to go back to my second point which is do your research. Your business is only going to work if you keep going. Every day that you might feel rejected you can go back to the points I have just mentioned. You will continually question yourself. But if, after that, you still come up with the same conclusion, then keep going. There will always be some people who will never see what you are trying to show them, because they are not able to see it. Try to find the right people to help you. Find people who are familiar with what you are trying to do, with history in the sector. People invest in people and they invest in what they know. Coco Color is the world's 1st coloring stylus for use on tablets & smartphones. 768 stroke color, style and size combinations. iOS7+. Android 4.0.3+. Press buttons to color and doodle. No Pairing!